Penal Code § 242 is a misdemeanor in California. Simple battery is willful use of force against another. The force is defined as an harmful or offensive touching of another. It is not a battery if the touching was done in self-defense, defense of others or while reasonably disciplining a child. Injury is not required to be proven for simple battery. If convicted of this crime the person convicted can spend up to 6 months in county jail and pay a $2,000 fine. Simple battery can be aggravated if the person who is the named victim is listed in Penal Code § 243(b). This code lists several named victims occupations which include police officers, firefighters, custodial officers (police at the jails), lifeguards and so on. Nevertheless, if those persons are the named victim of a battery then the maximum jail time increased to 1 years in jail. Disturbing the peace under Penal Code § 415 has subdivisions which someone can be charged. 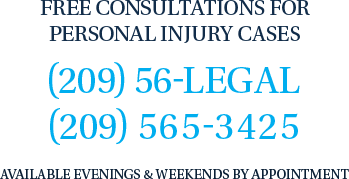 When clients want to fight their case and have a jury decide the case, then The Bogan Law Firm, A Professional Corporation encourages their clients to do that. At other times clients want to avoid having a more serious battery charge on their record. If the DA is not going to dismiss the charges sometimes our office can negotiate with the DA to have them reduce the charge to a Penal Code § 415. In addition a § 415 is a "wobblette" meaning it can be charged as a misdemeanor or an infraction. Even though it is a low level crime, a person convicted of this crime can still go to jail for up to 90 days. It is a good idea if charged with this crime to hire an experienced attorney like Tai C. Bogan and attorneys with The Bogan Law Firm, A Professional Corporation to represent you in your case.